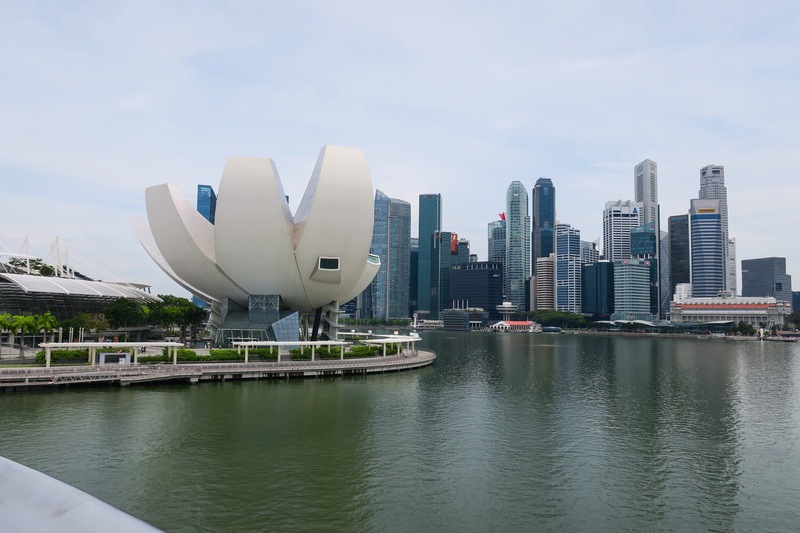 Singapore, a city and country all in one! When looking for where to stay, it really came down to what we could afford that wasn’t too far from the happening spots. 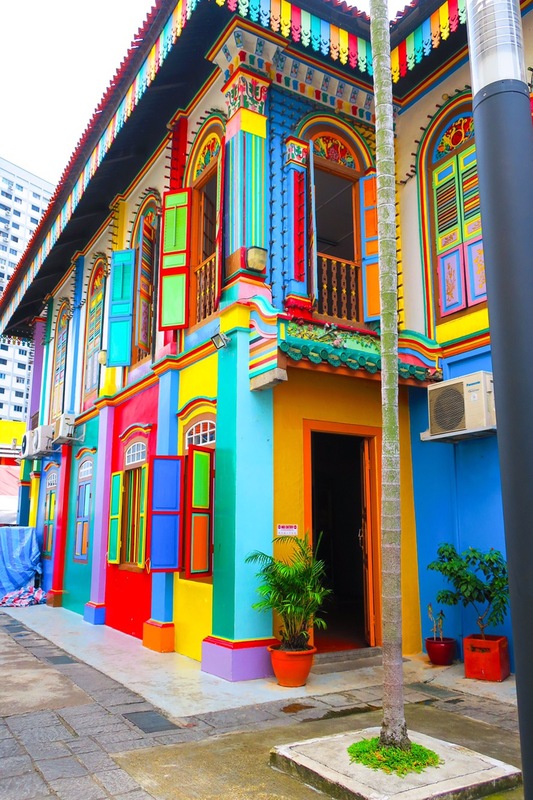 Some of the fun areas seemed to be Clarke Quay, Boat Quay, Orchard Road or the Famous Marina Bay district but were all a little out of our price range. 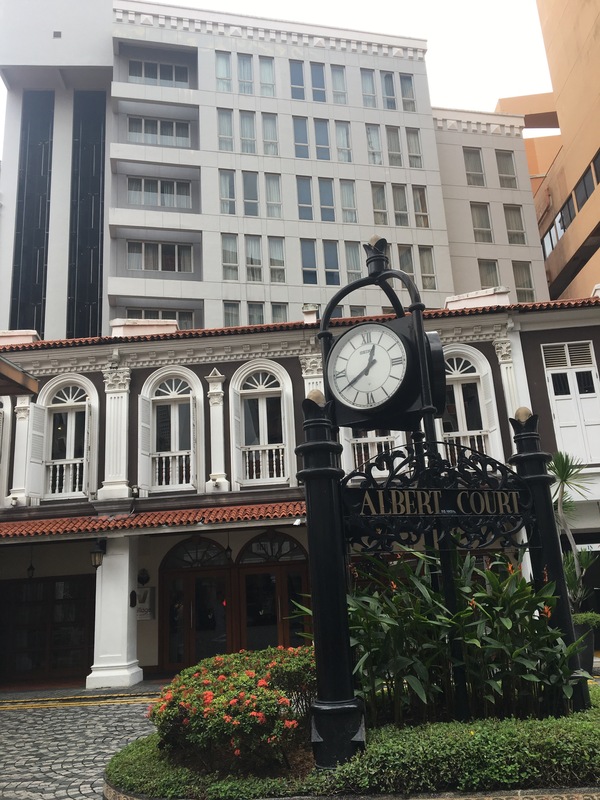 We picked The Village Hotel Albert Court which was close to little India, figuring we could always eat there if we didn’t feel like venturing out to find stuff! It was also located very close to two metro lines which was so convenient! Not only was the location great but they also threw us a complimentary upgrade to their Club Level room since we were staying there for 4 nights. Score! We were able to unload and spread out in a large and comfortable room. Singapore had a great public transport system, the MRT. As tourists, we could buy a 1, 2, or 3 day tourist pass that allowed us to use any of the metros or busses. 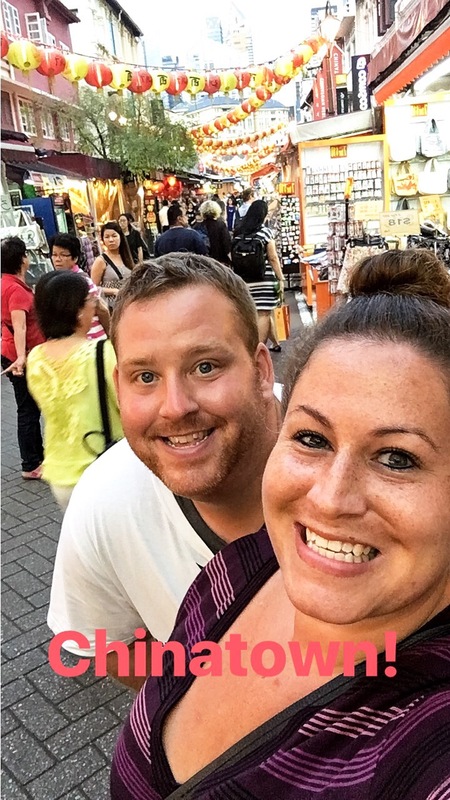 We were able to see the entire city so easily and was significantly cheaper than taking a taxi or uber everywhere! We spent a lot of the time just walking around all the different neighborhoods checking everything out. 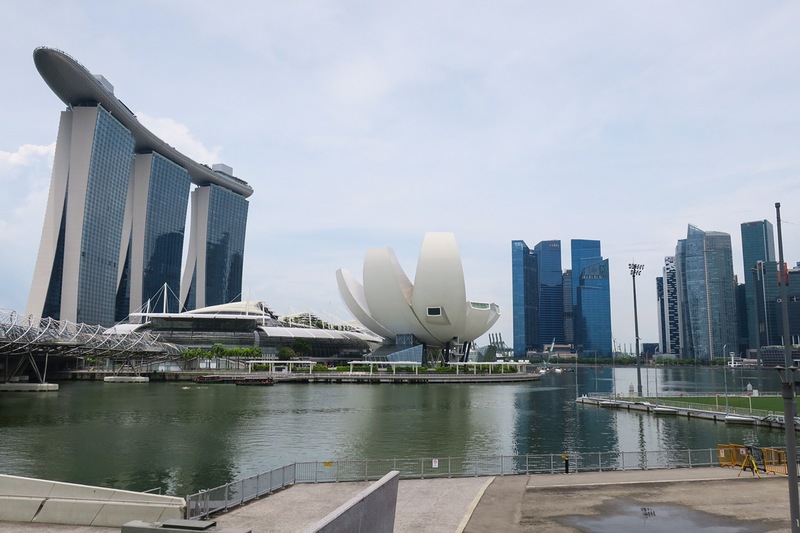 We quickly realized that unless we wanted to pay $22/person to go up to the top of the Marina Bay Sands, Singapore’s famous hotel, or $33/person to go to the zoo… there really wasn’t much to do aside from walk around the malls. (Which was okay at times, considering they’re air conditioned and it’s SO hot here!) 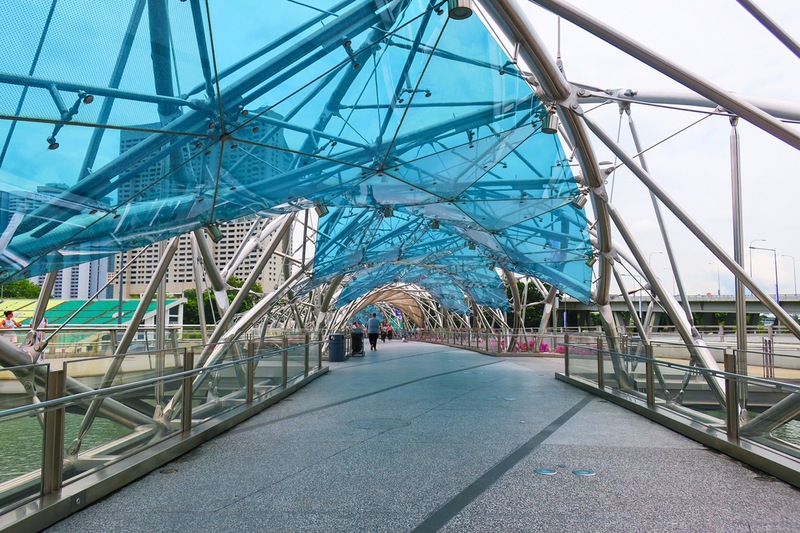 We did find some fun, free things to do like walk across the Helix bridge that spans from the Marina Bay Sands across the river! We had fun walking across and got some great views. You can check out a time lapse of us crossing it on our Instagram! From Arab Street to Little India to Chinatown, we walked around all the neighborhoods to soak it all in. 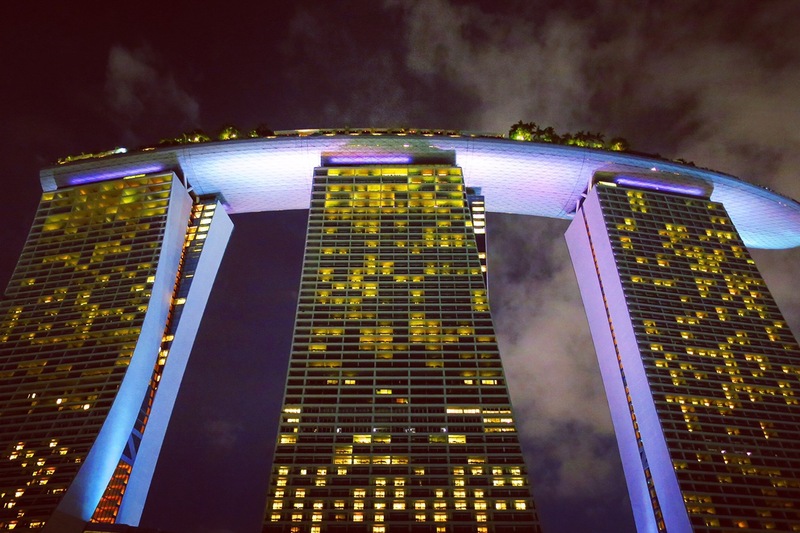 We got some great photos of the Marina Bay Sands from the bottom (since we can’t afford to go to the top!) 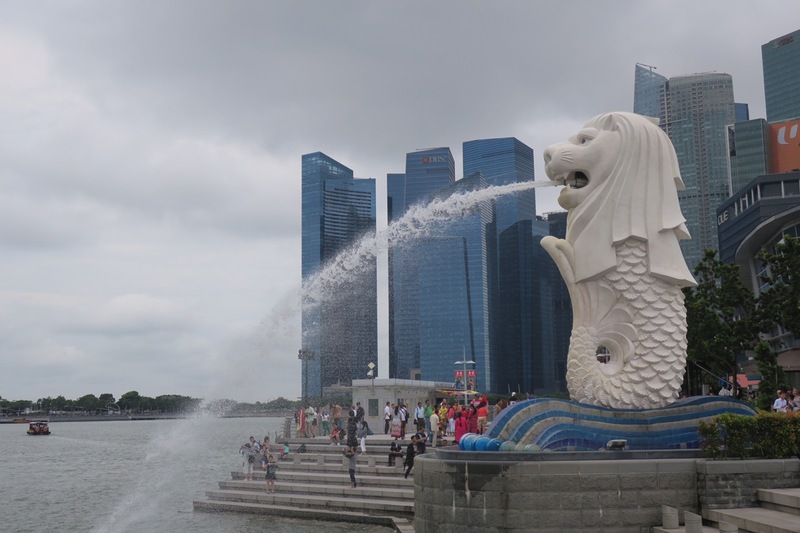 and also checked out the Merlion at the water front, a fountain statue with the head of a lion and the tail of a fish. One evening we went to the Garden by the Bay, which is the park beneath the Marina Bay Sands. 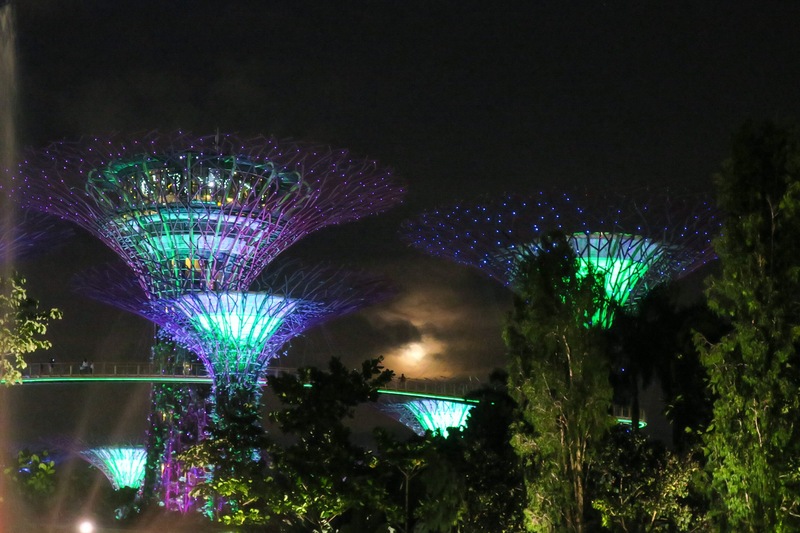 It has humongous electric trees that light up all different colors. In the evenings they put on a light show set to music. It only lasts about 10 minutes, but it was a gorgeous sight! 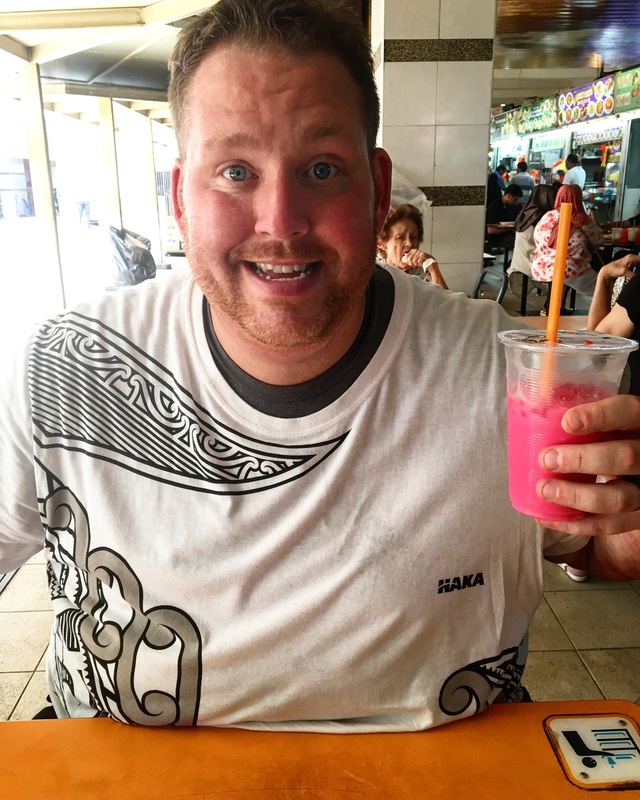 We found ourselves on the hunt for a Singapore Sling because… well…it’s Singapore! 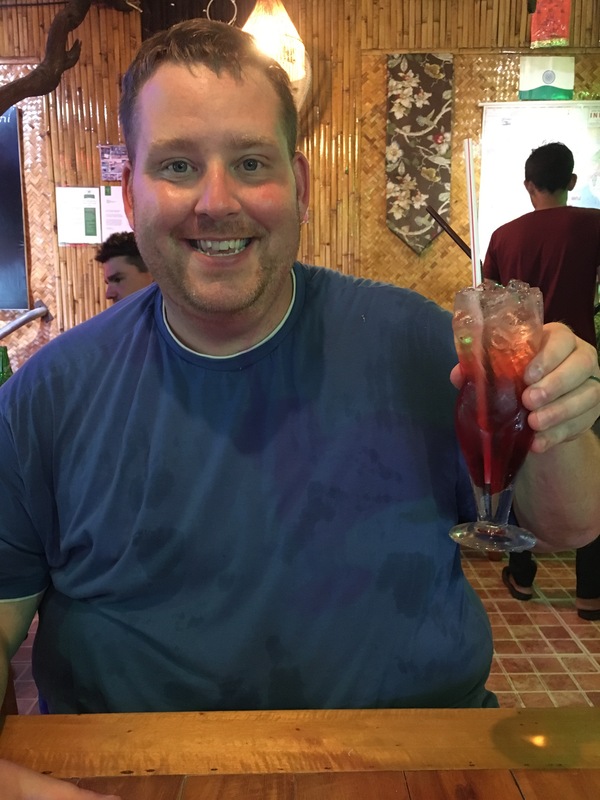 You have to get a Singapore sling in Singapore, right?! We knew it was going to be expensive but decided it was okay to splurge a little for one. 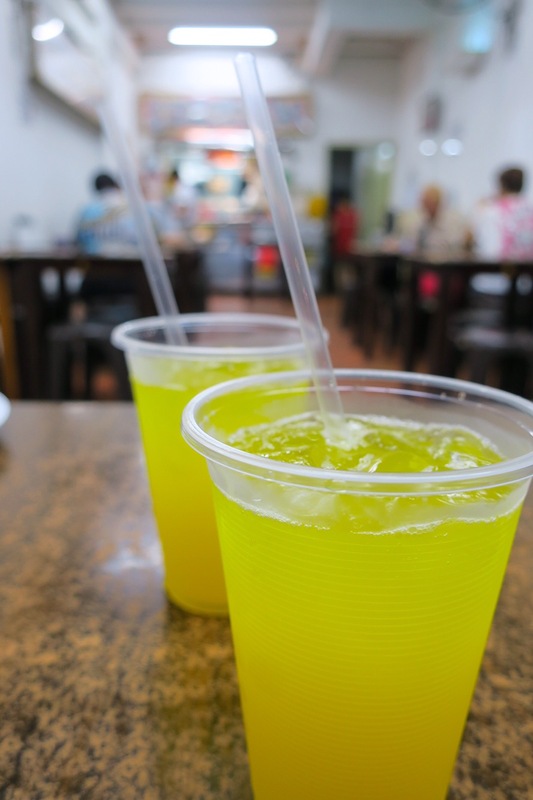 We quickly realized our idea of splurge and Singaporean idea of splurge were completely different things. $12..$14.. even $15 would have been okay.. but $26 for 1 drink?! That seemed to be the average no matter where we went! NO WAY could we justify spending that! 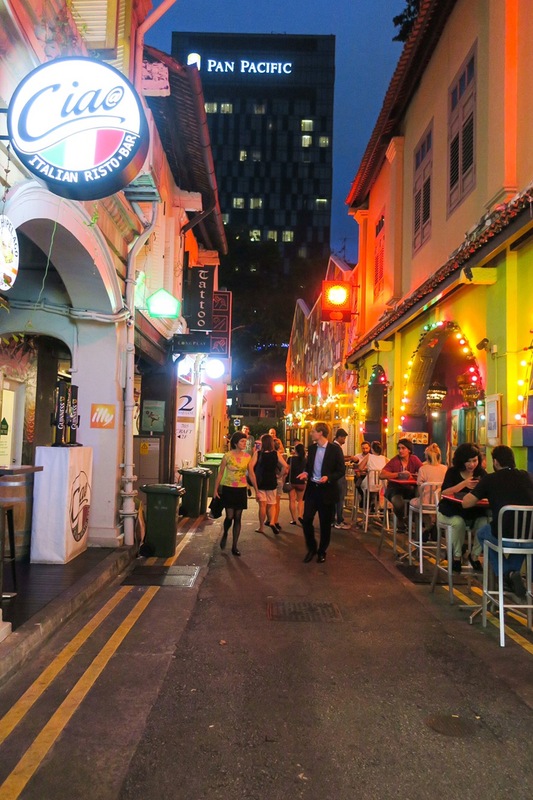 We searched for dive bars to see if we could find them cheaper but it seems all the bars in Singapore are in cahoots! Okay, yes, we know it’s because liquor is just expensive here, but the prices were way over the top for us. Oh well! Maybe now whenever we have one or see one on a menu, it will remind us of trying to find a reasonably priced one in Singapore… and failing! 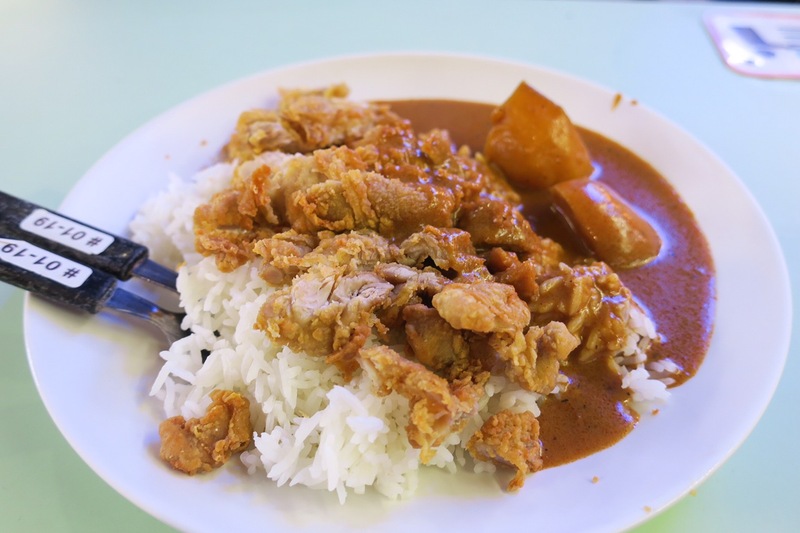 The Food: The main thing we wanted to check out in Singapore were all the Hawker Markets we had heard of. Huge, sometimes multi level buildings filled with almost any type of Asian food you can imagine. They varied depending on which area you were in. 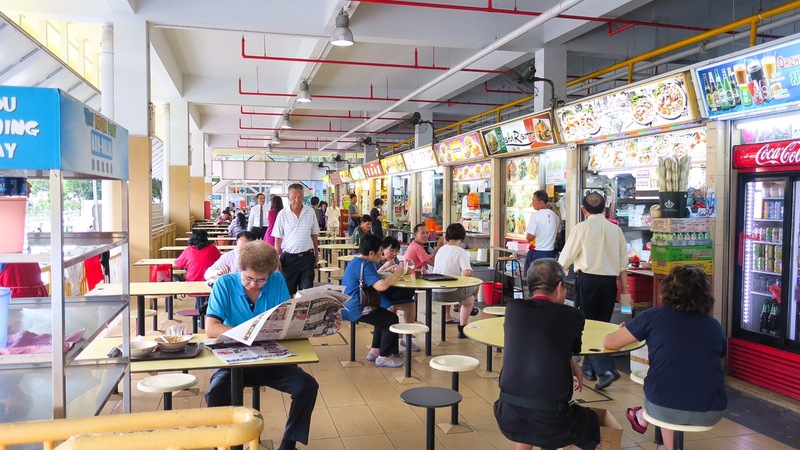 Chinatown’s Hawker Market was filled with all different Chinese stalls, selling many types of noodles, fried rice, Hainese Chicken Rice (a Singapore must try! 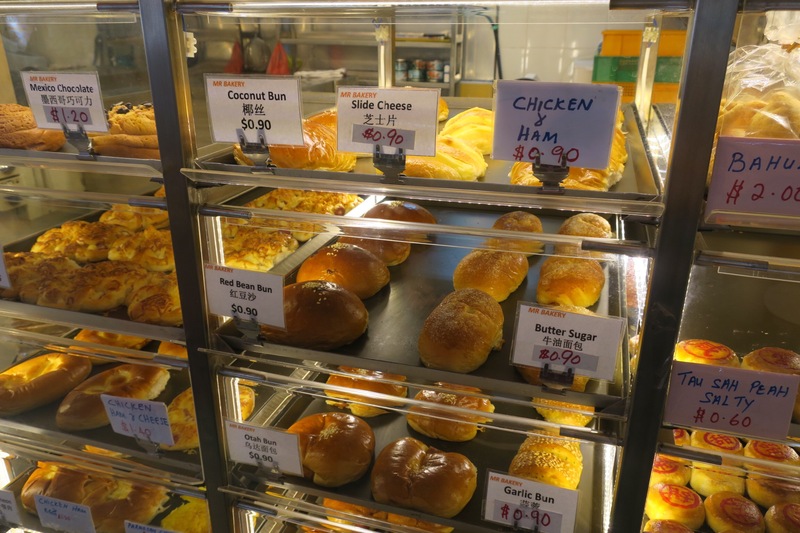 ), Chili Crab and a wide selection of sweet and savory buns. We tried so many things, and it was CHEAP (Dean’s middle name). A nice break from the expense of everything else here. 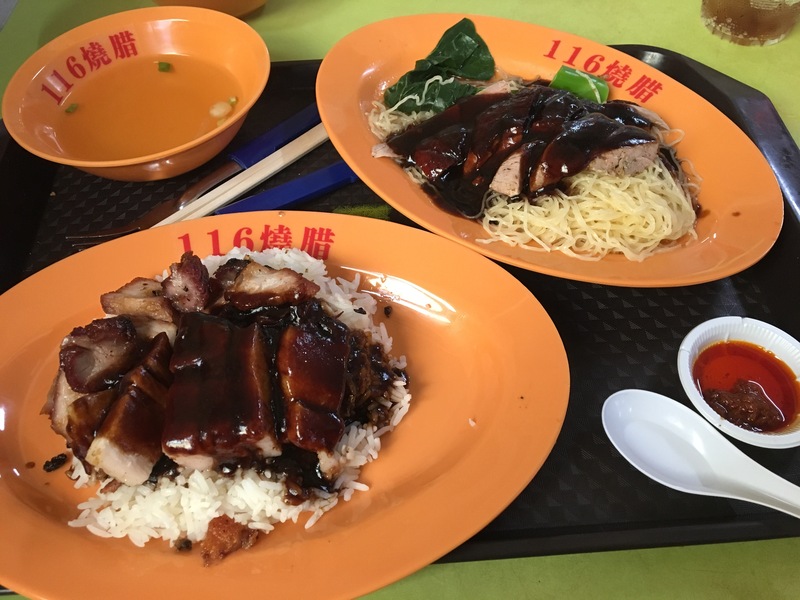 We tried Char Siew (Chinese Roast pork) Rice, Roast Duck with BBQ Sauce over noodles, Soy Glazed Chicken over Rice and more! We also tried “Mr. Bakery”. At first we thought thy were going to be dessert buns and danishes but we realized it was the opposite! Savory buns! We decided to get 3 buns to share. The first was the “Signature Bun”, a golden baked bread stuffed with chicken hot dogs, mayonnaise, cheese and chicken floss (we still don’t really know what chicken floss is, but we’re assuming it’s the left over floss from when chicken clean their beaks 😉). We also tried a “slide cheese” which was a simple bun filled with what seemed to be white American cheese, I loved it! 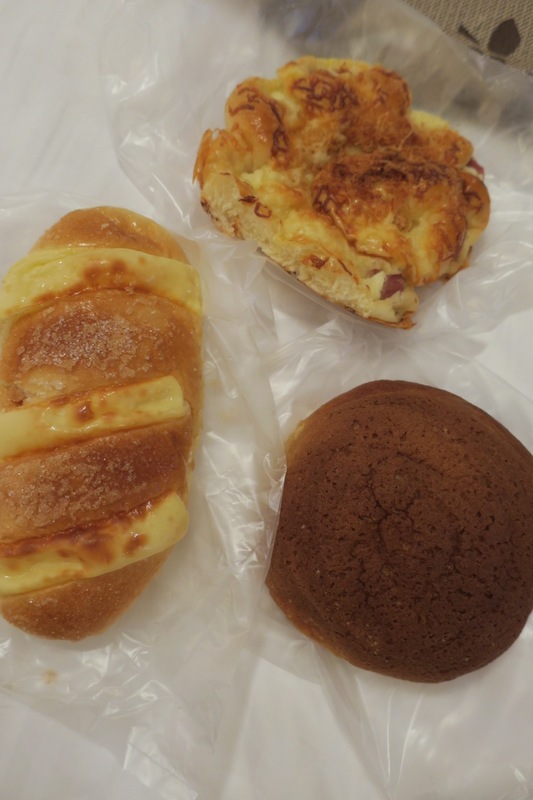 Dean’s favorite was the “Coffee Boy with Cheese” it was a dark brown bun filled with that same American style cheese. We had a little bit of translation mishap when ordering this because we asked if the coffee boy was coffee flavored and the baker said “yes, coffee!”, sadly it was only a really dark egg wash, but it was still delicious! Little India transported us back to India, the smells (some amazing, some not so much), the sights and most importantly the food! 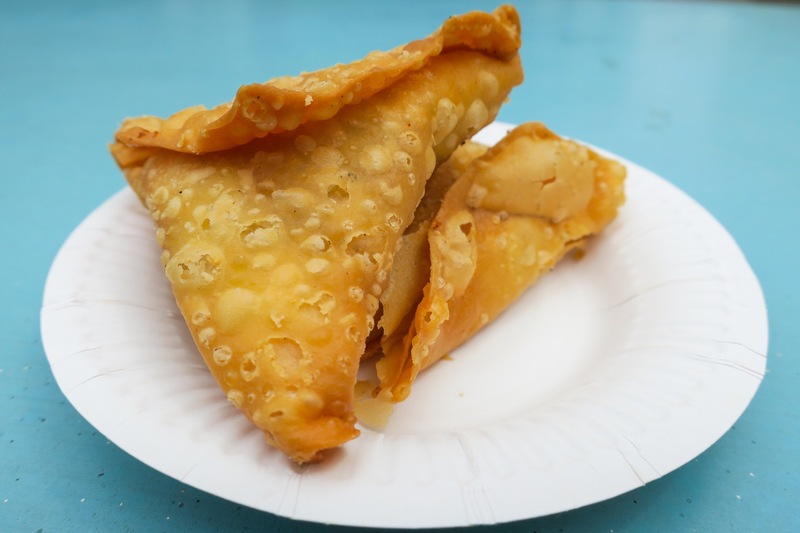 Our favorite was two crispy samosas and a lunchtime tray of tandoori chicken, a heaping mound of buttery basmati rice, an onion and milk salsa and a papadum (crispy bread). A huge tray filled with all of this on a banana leaf for only SDG$8 ($5.50USD). It was so tasty and the atmosphere surrounding us added to the experience. You could tell we were one with the locals. The colorful buildings and the way everyone was interacting brought right us back to Mumbai. 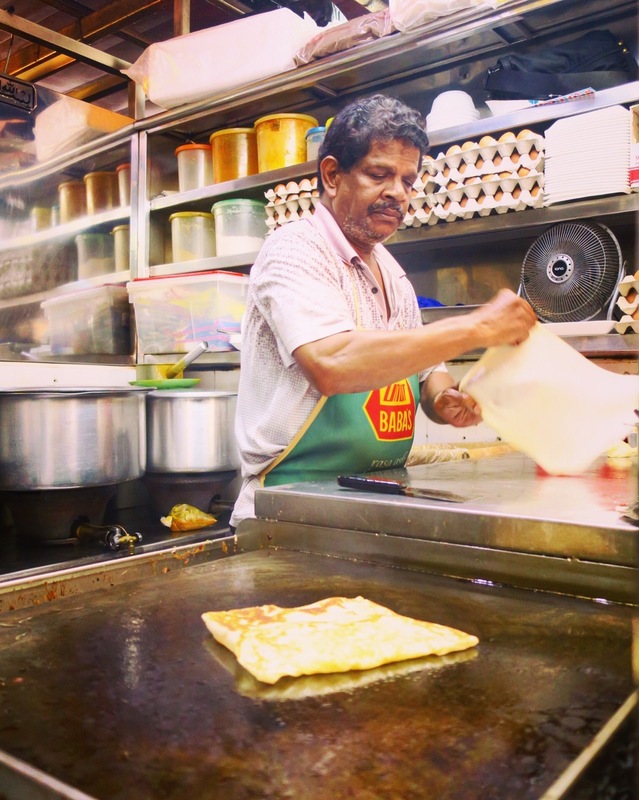 We kept walking around the Little India hawker market when a man making roti caught our eye. 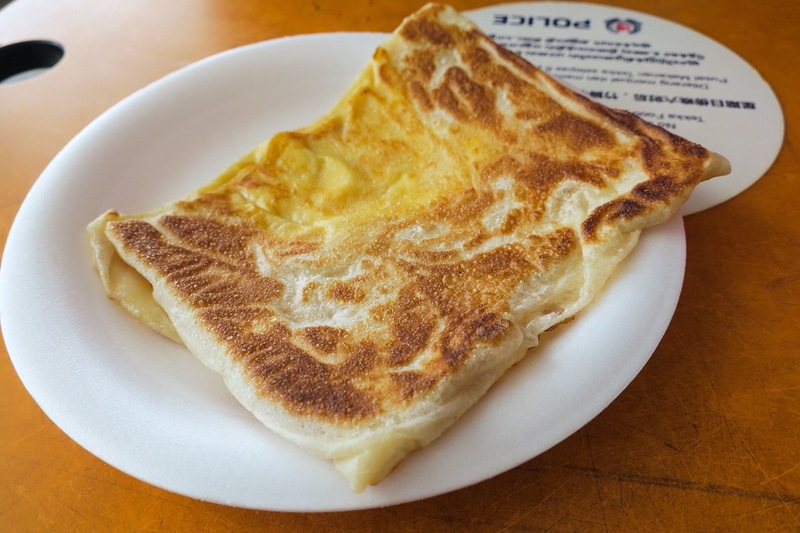 The same kind of thin bread that we fell in love with in KL, this time as it was made in front of our eyes it was stuffed with that same plastic wrapped American style cheese, right up my alley! Dean’s always been a huge fan of eastern flavors so when he spotted a bright pink liquid from across the way he made a bee-line. One of his faves, rosewater milk! 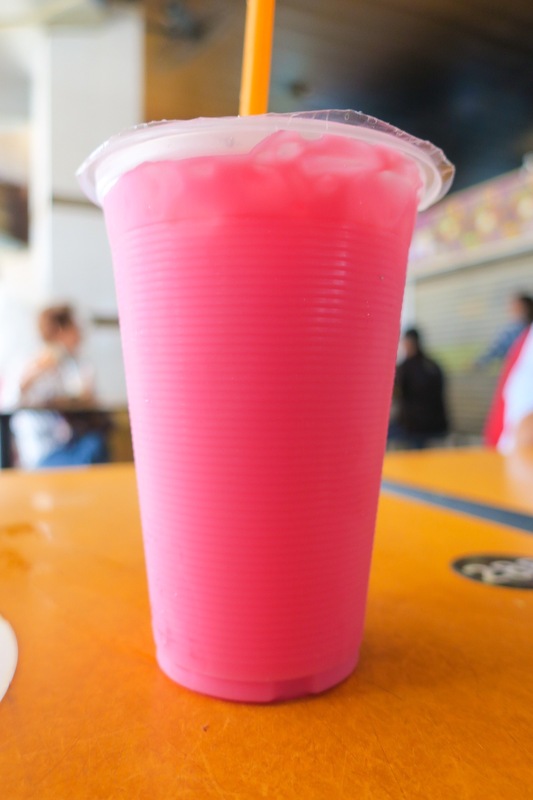 The sweet, bright pink milk has the scent of drinking a liquid rose which is as heavenly as it sounds. 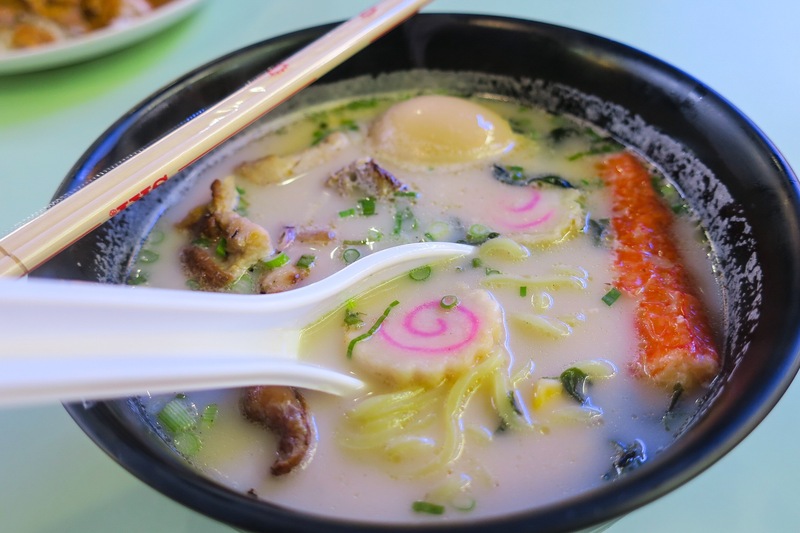 One street away from Chinatown we stumbled upon a great local eats place, how did we know it was for locals? To start, we were the only white people there! 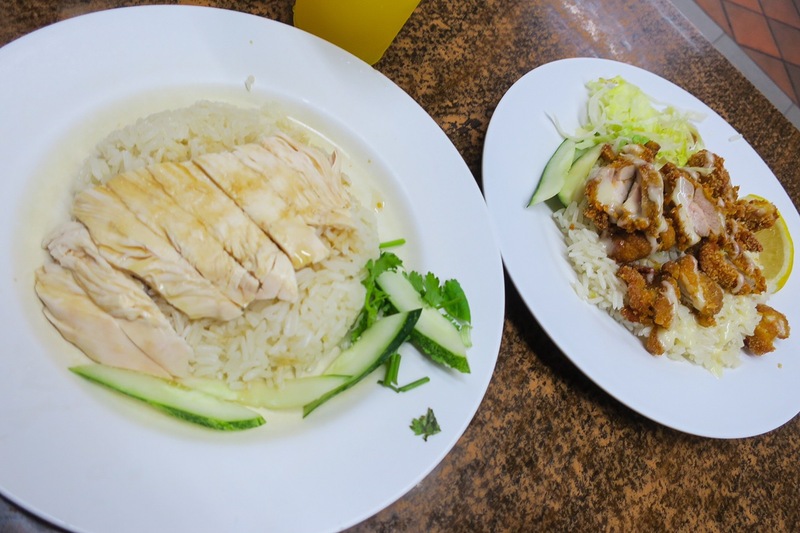 Second, our Hainese chicken rice, crispy lemon chicken rice and two Orange-lime-aides came to $8S($6USD)!! 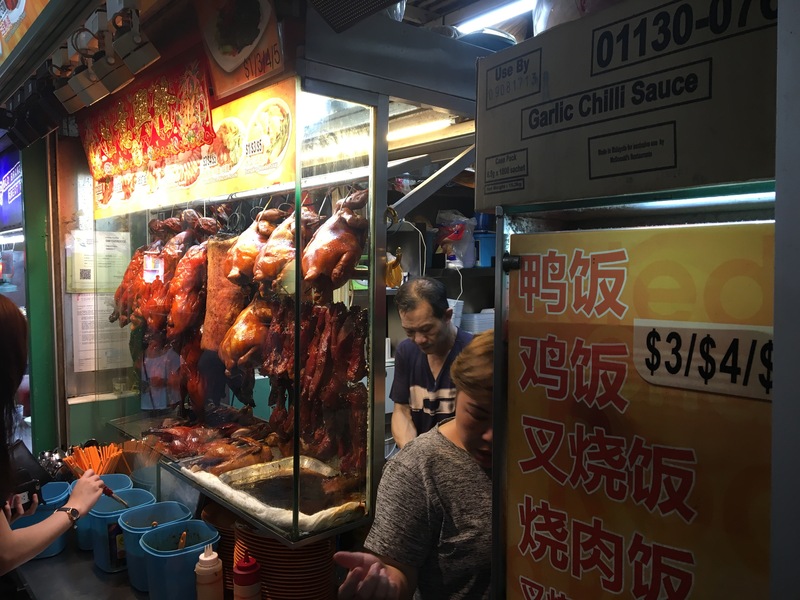 We had earlier walked down Food Street in Chinatown where the restaurant owners and staff stand outside yelling to you how great their food is, and the prices were insane. They were selling one plate of rice for the same price! We are always happy when we score amazing food for cheap and it’s, most importantly, authentic. 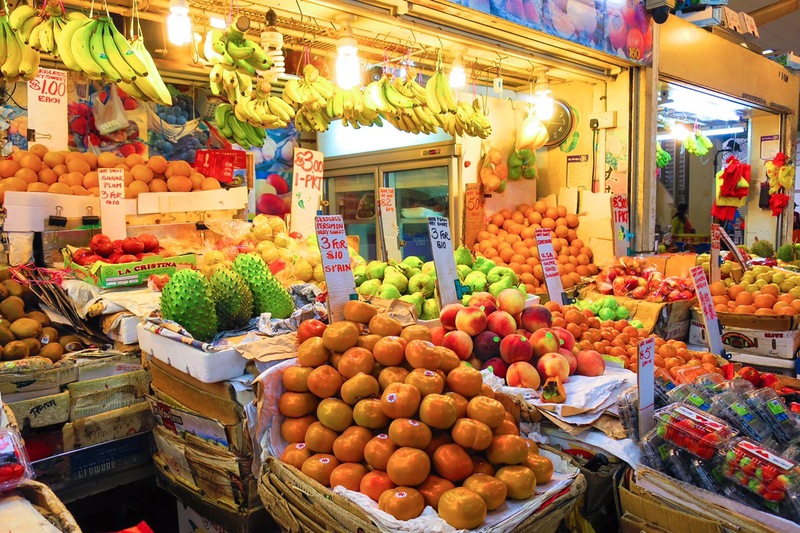 One thing we won’t soon forget is the overly strong perfumed smell of hundreds of Durians all across Singapore, inter mixed with the sweet smell of mangoes and the bright lights and colors of the markets. Here’s our feeling of Singapore, overall. Now.. don’t hate on us.. but we don’t really see the draw as tourists. Definitely a cool city with some beautiful sights.. but we didn’t really seem to find much to DO! Being immersed in the culture was awesome, eating at the hawker centers were top priority.. but after doing that.. then what? We decided this is a 1 day city. Even a layover city. Arrive, take one of the free tours they offer for layover guests, or get a 1 day tourist pass for the metro. You can pretty much see all the main sights and take care of all the must do’s in that time. 5 days was overkill for us. To each their own, though! Next up, Thailand! First stop; Krabi. And no, that’s not our current mood! Make sure you check out our Facebook and Instagram for more photos! Previous PostAll These Amazing News Articles – Wow! Food looks delish!! Thanks for sharing. After reading this post how can anyone not follow you two?!? Fantastic post and I absolutely loved all the photos!!! Thank you!!! So glad you’re enjoying our travels!! 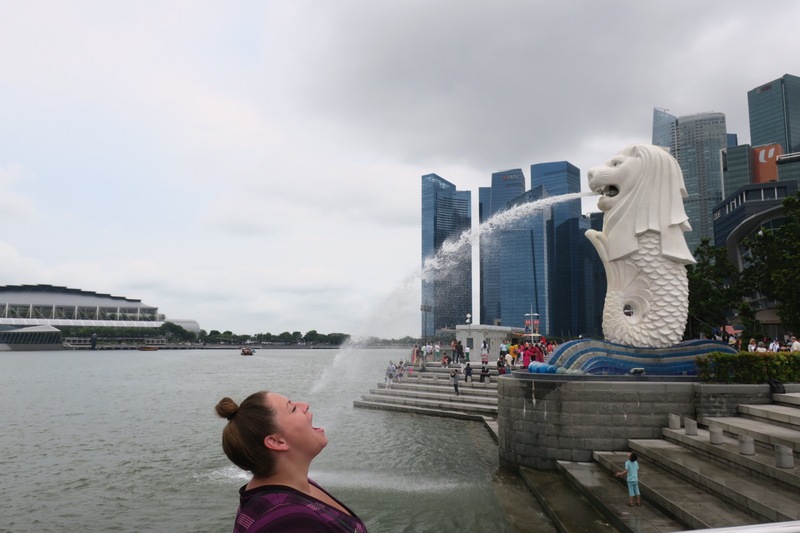 I spent a week in Singapore (wayyy too long, but I like to travel kind of slow) and had a fab time! I used couchsurfing there and ended up finding loads of free things to do, which were basically the same things you did. I also went to the botanic gardens (def amazing, and free) and even thought about visiting the little beach there! Singapore is a great city to photograph 🙂 Oh and if you go back, it is possible to go to the top of a nearby mall and get a photo from the 15th floor of the supertree grove! I loved the pictures and it looked like a fun trip to go on someday, but expensive indeed. Love Ebates and Hotels.com, especially together! You two look like your having a blast. I just moved Singapore up on my must hit list! Too bad I didn’t know of your blog sooner. I was back there 3wks ago & did a self updating exploration. Commenter Phiyphiy is right, you could have gone to Adam Food Ctr, satay is superb, & brought food to Botanical Gdns for a picnic, bonus if there is an open concert. I could have also recommended you to head away from “town” ~ out to Changi Village to eat with locals (perhaps stopping @ Changi Museum), even a ferry to Pulau Ubin (little village island) where you can have cold beer or cut-off coconut & watch the sunset. Sg Buloh Wetland Reserve is also nice for nature & walking. I feel ya on the cost to visit Singapore. Everything is SOOOO expensive. Thankfully my husband and I were able to stay with a friend while we were there and saved money that way. 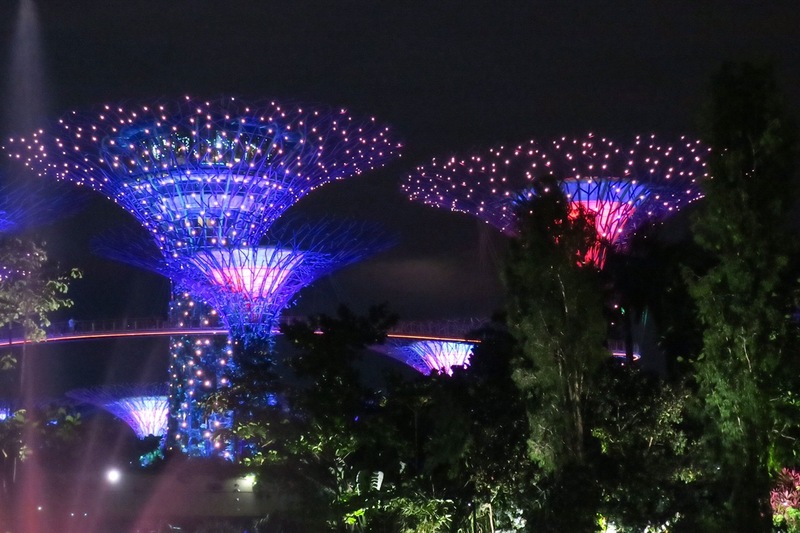 We decided not to pay to go to the top of the Maria Bay Sands Hotel but we did splurge on entry to both the Flower and Cloud Domes in the Gardens By the Bay – definitely worth it!!! I’ve seen those avatar looking trees in pics on the web. I would love to see them in person. I shall remember go hungry but no liquor. lol Maybe someday I will leave this land mass and adventure abroad. Nice article and great pics. Take care and have fun on your adventures. Singapore is painfully small lol. I think we’re only good for people who cannot travel much cos you can find a lil bit of every country here, and everything is super accessible. But if you’re ever coming again, visit the Botanic Gardens! There’s no entrance fee and you’ll find nice lawns for picnic – restaurants/food in the garden is expensive, so pack something from the nearby Adam Food Centre. hey !!! 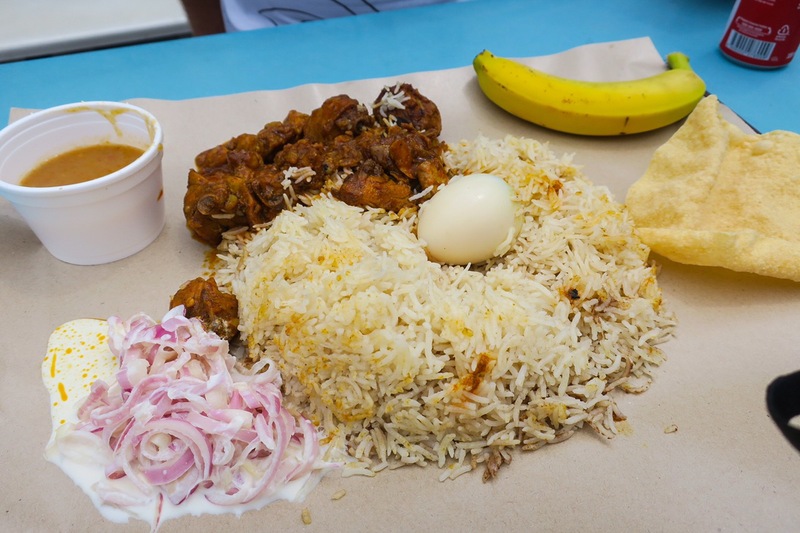 the food was actually looking like Indian cuisine… The rice dish was looking like typical Indian biryani. I will also try to explore some cuisine for my blog. Oh another tip (I meant tip but wrote trip in my previous comment) hang around the boat rental place in Krabi and if you find another couple share a boat between you two for island hopping. True you have to take your own food and water but you can stay in an island you like more as against the conducted tour that just rush between islands. Best is if you can find a local couple we found two girls (we went in 2013 September just me and hubby) who approached us with the proposal and we have stayed friends till today. It was really fun island hoping. Anything is possible, when you adapt and learn as you go. Have fun! Thanks for the fantastic trip; we are planning one this September and it is going to be a Philippines tour mainly with Singapore being the layover city. And you are going to love Thailand especially Krabi. If you are staying the weekend try the Night market. Very small but fantastic collection of food stalls!! And you will find cheap cocktails as well served in bamboo glasses! Looking forward to your Krabi blog. Love your pictures! 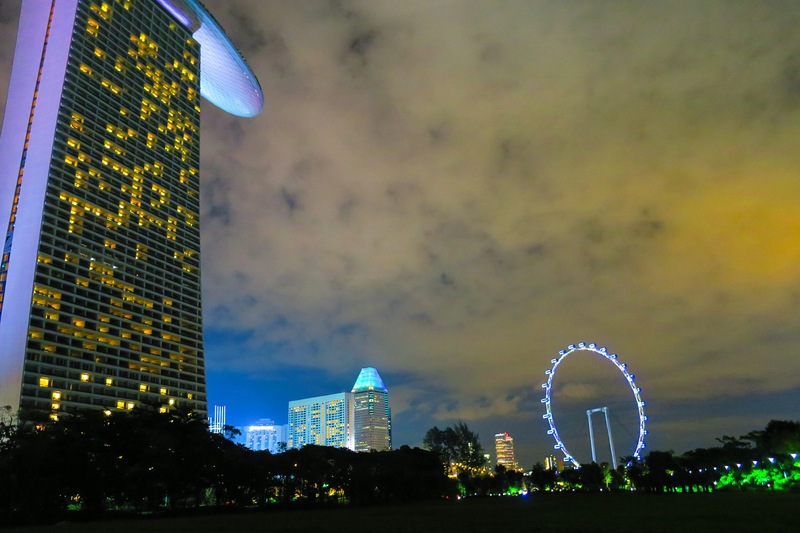 You have definitely captured the heart of Singapore. I have been to Singapore a few times with work, but I completely agree that it is expensive. Thank you for sharing! 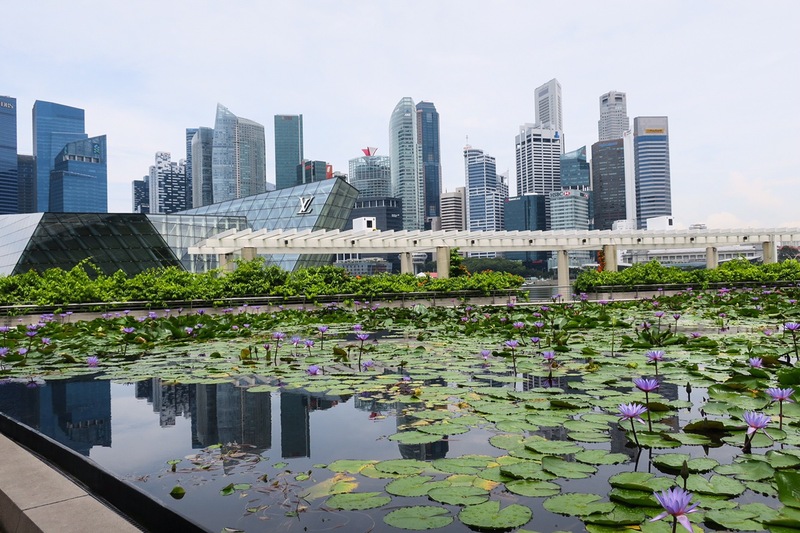 Singapore is popular with Australians as a stopover on the way to Europe. Good for a day or so but as you said not that much to do and it is expensive. A very clean, safe and efficient city though so it’s perfect for a stopover (layover). The airport is the best I have been to, somehow they make flying a relatively stress free experience. We didn’t see any of those! Sounds funny! Wish we had! Glad you’re liking the blog! My parents had a very similar reaction to Singapore when they went last summer… expensive, expensive!! 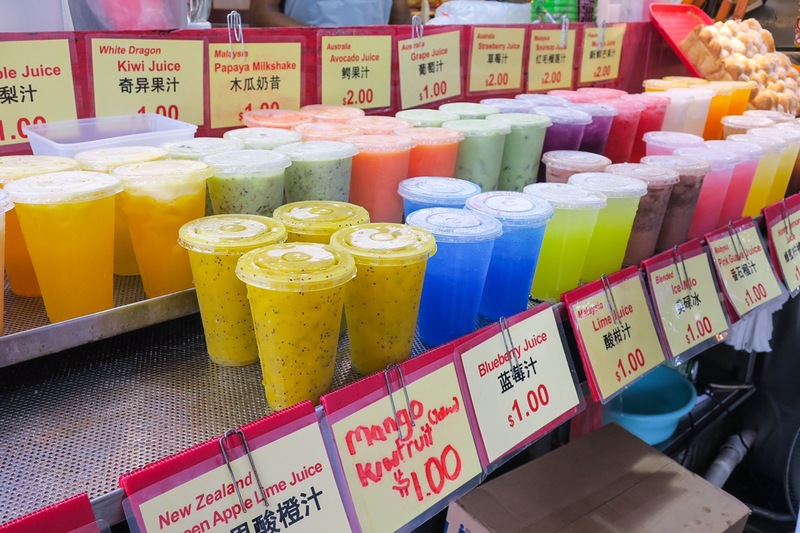 The hawker markets looks really cool. I am such a terrible windowshopper, I feel guilty and I want to buy something. Thanks for sharing!